Level 3 British Triathlon Coach based in Northampton (UK). Swim Smooth certified coach with weekly swim squads. 1-2-1 video analysis and group swim clinics. If you can get a number of people together i'm happy to come to you for any type of session. 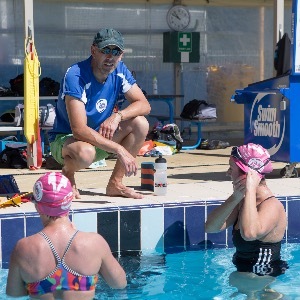 A level 3 British Triathlon coach since 2012, Gavin also completed the British Triathlon Kaizen coach development programme in early 2015 - currently the highest programme British Triathlon offers in the coaching pathway. As a triathlete Gavin has completed Sprint, Olympic and Half Ironman distance races incorporating the experiences gained into coaching athletes at different levels from beginner to Age Group. Gavin also shares his passion for triathlon through a club setting with Northants Tri club, mostly coaching the adult swim sessions. He also leads the coaching team for the junior section of the club. A good coach/athlete relationship is essential! Success. Coach Gavin Prior has been notified of your message.